Following the provision of short notice Ground Investigation support at a site in Southampton, the developer requested that Fellows take further action to assure that the UXO risk on-site was reduced to ALARP during the forthcoming construction work. The site had been assessed as being at high risk from buried aerial bombs. Due to the intended emplacement of up to 140 load bearing piles, Fellows recommended an intrusive UXO survey to ensure the safety of the piling contractors and other site personnel. It was decided that use of Cone Penetration testing (CPT) would be the safest and most cost efficient method of conducting the survey. 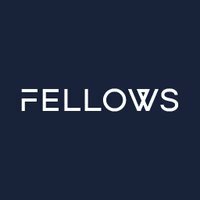 Fellows sub-contracted one of the country’s leading suppliers of intrusive surveys and at reasonably short notice were able to deploy a CPT rig to site. Fellows supplied a UXO Engineer to work with the CPT Operator and to provide safety oversight in the event of detecting magnetic anomalies which could be UXO. Prior planning indicated that approximately 90 probes would be sufficient to cover all of the intended piling positions. The probes were carried out to a depth of 10m and the detection radius of the probe ensured that all 140 of the intended piling positions on-site were covered. The survey took place over six working days and was completed in a rapid and pragmatic way, allowing other site development work to continue with minimal disruption. Although some magnetic anomalies were detected, some sensible assessment of the data allowed the development to proceed while taking into account the potential for these anomalies to be items of ordnance. A comprehensive report was compiled for the client which showed the positions of the anomalies and Fellows were able to advise the client how best to deal with them without changing the intended scope of work. Despite the short notice, the end result was a swift and commercially acceptable outcome for the developer who were able to demonstrate their compliance with the assessment of risk required under CDM 2015.